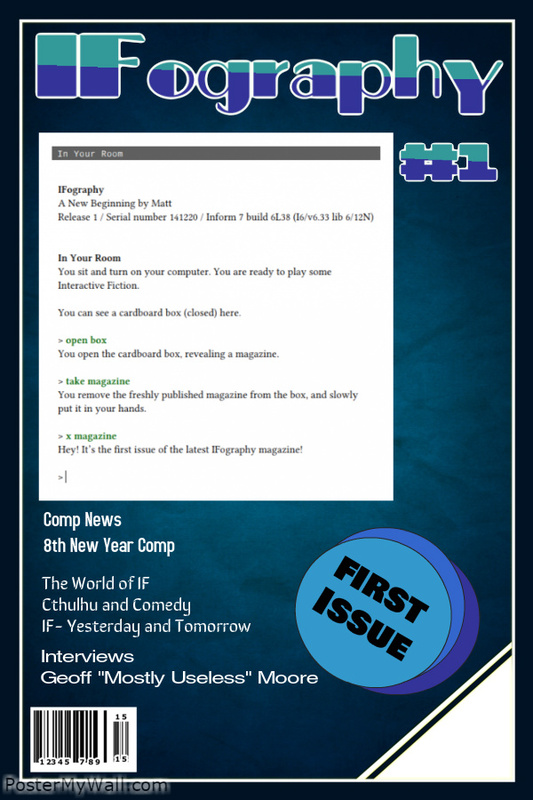 First edition of IFography put together by the fine folk of the Interactive Fiction Faction with most of the hard work done by Marshal Tenner Winter and Matt Goh. Great first issue, looking forward to many more issues. Hopefully fill some of the gap left behind by the long hiatus of SPAG.